Are you a sucker for backpacks but don't need the extra space? The Fjallraven (Swedish for "arctic fox") Kanken mini is your answer. 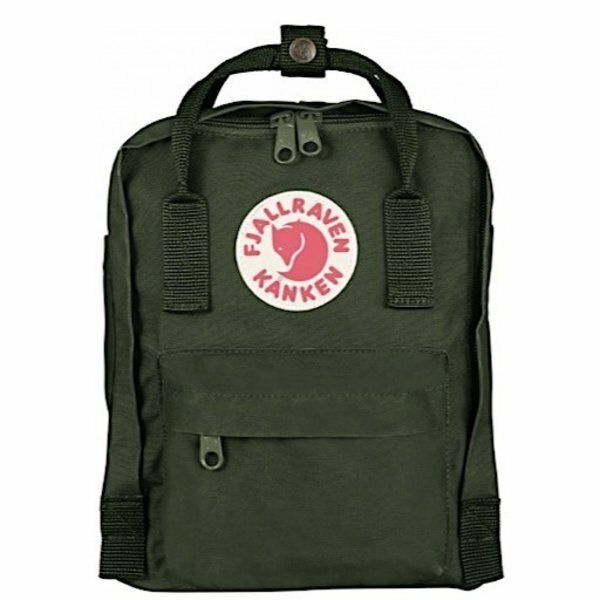 The smaller version of the full-size pack, the Kanken mini is made of the same durable but lightweight vinylon and has the same classic look. The mini also has adjustable straps small enough for little shoulders, making it great for a kid's first backpack. Has zip closure, a front zipper pocket, and side pockets.